The Digital News Report from Nic Newman et al at the Reuters Institute for the Study of Journalism was published today. I was due to attend the launch event this morning, but unfortunately childcare issues meant that I had to pull out a couple of days ago. Luckily, Catalina Albeanu of journalism.co.uk was there, and has written up some key findings from the report, and some of the more interesting moments of the panel discussion. While other sources are growing somewhat, it's not enough — for now — to replace the lost traffic from Facebook. Curiously, though, many sites are portraying this as a switch from Facebook to chat apps (the BBC for example). The data doesn't quite seem to bear that out. At least some of the growth could be directly attributed to the growth in chat apps themselves, rather than direct switching. Yes, Facebook is the green in that chart. 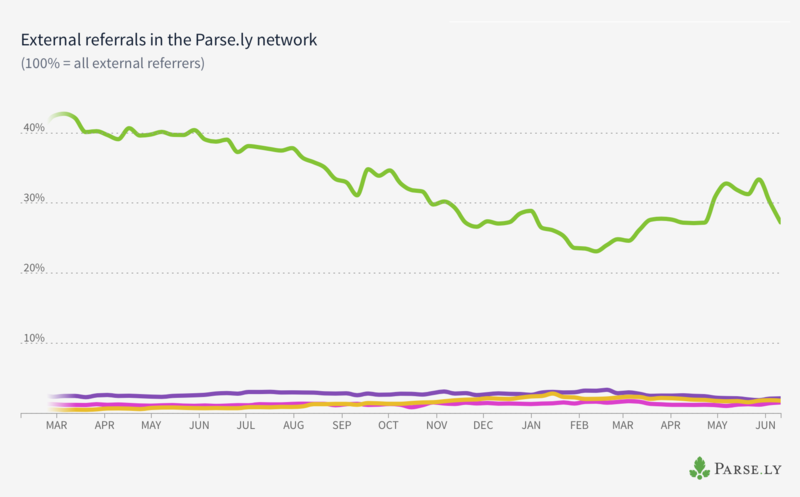 And that gives you some sense of how dominant Facebook is as a traffic source. Media literacy matters – or does it? This year, the report also measured media literacy for the first time, and found that levels of news literacy are much lower than many journalists might expect. The team asked respondents a series of three multiple choice questions, with only one correct answer: the first tested whether they could identify their country's public broadcaster; the second looked at who was responsible for writing press releases; and the third asked about how stories people see in their Facebook news feed are selected. The results? Only 10% of people got all three right. This, perhaps, should not be as much of a surprise as some people find it. In the pre-internet age we, to some degree, outsourced our media literacy to a small number of professional journalistic outlets. Journalism was an expensive game, with the infrastructure of printing and distributing costing inaccessible amounts of money for most people. In short, there wasn't a huge day-to-day need for media literacy because most sources of news we received were at least somewhat trustworthy. That has profoundly changed. The internet has reduced the cost of distribution to, essentially, zero, which has allowed the proliferation of media outlets we've witness over the past 20 years, and the last 10 in particular. Why do people fall for disinformation disguised as news? Well, they're both not very good at understanding what professional news really is — and still prone to confirmation bias, the psychological trait which means we are much less likely to apply critical reading to thing that support our existing views. In light of this, the decline in Facebook traffic might be good news. The misinformation and hyperpartisan sites are highly dependent on viral social traffic for their audiences. A decline in Facebook traffic would create a decline in their reach - but that presumes the Facebook traffic decline is evenly spread. 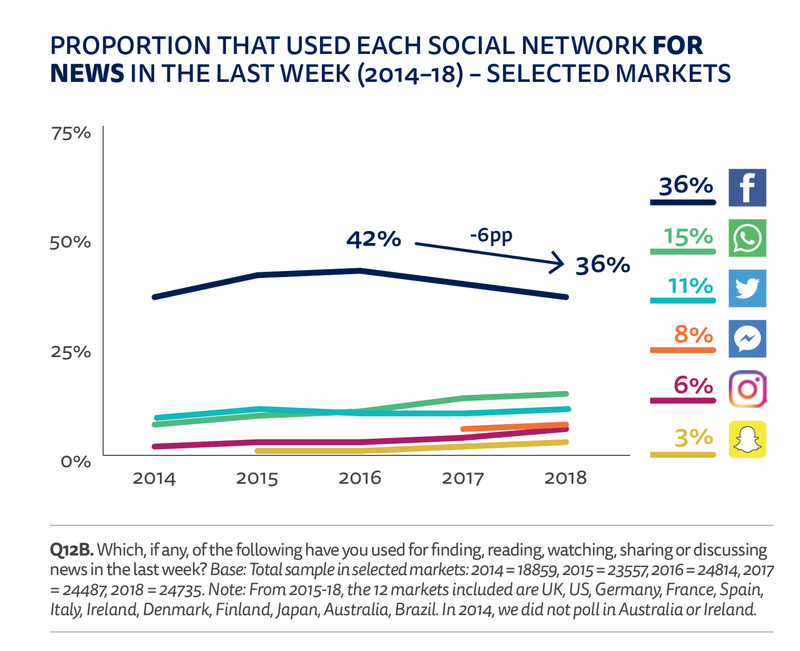 With Facebook prioritising highly engaging shares, it's possible that more traditional and often more sober media will be hit harder than our less reputable and fact-aligned competition in the longer term. More research and a careful watching brief needed here, I think. What the team found out however is that "news literacy may also go hand in hand with a high degree of scepticism. Even if we focus on news production, the more people know about how the news is made, the more knowledgeable they will be about its limitations and imperfections. This may be why we see only a very small increase in trust levels as news literacy increase." This needs some consideration and investigation. How in-depth was this media literacy training? For example, did they address issues like the motivations for creating misinformation, or the role of confirmation bias? Like many good reports, this looks like it's raising more interesting questions, even as it answers some more obvious ones. I'll be digging deeper into the report over the next few days, and I'll share anything interesting I find as I go through it. 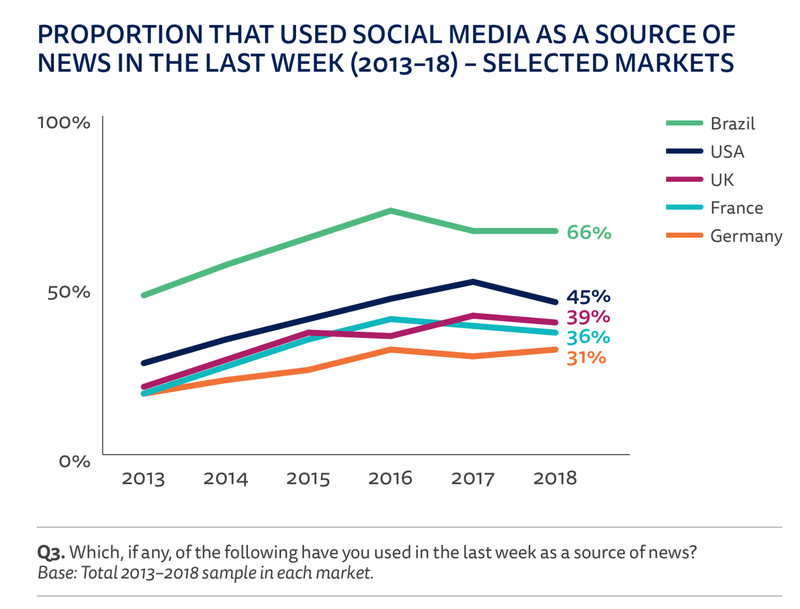 You can grab the report from the Digital News Report 2018 page.